We arrived back at the Sandon River camp in the Yurigar NP on Monday, after a great time with family in Yandina and Mount Tamborine. 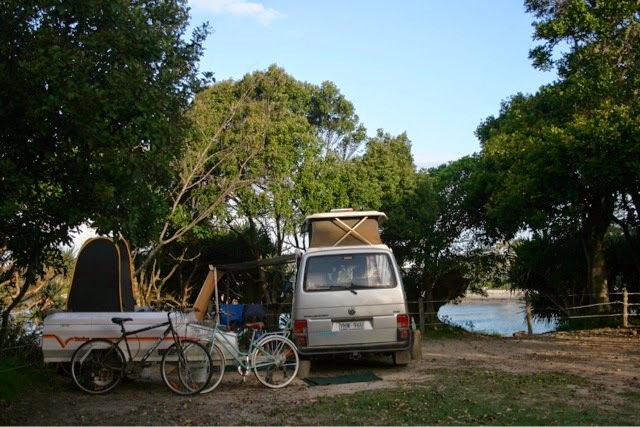 Our decision to get here before the school holiday travellers has paid off and we have secured a great camp site on the river and 100 metres from the surf beach. 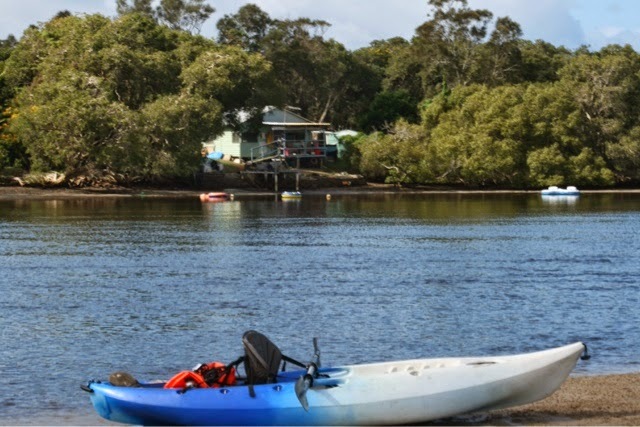 This is probably one of the best camps that we have stayed in, it ticks all the boxes, camp fires, warm water to swim in and the fish are biting, not to mention that there are flush toilets and tank water on site. The only downside is the 9 km of coregations on the way in or out. Internet connection is non existent so I am posting this from Maclean, this morning. We have come into town to get some supplies for the next week and to charge the batteries in the van. 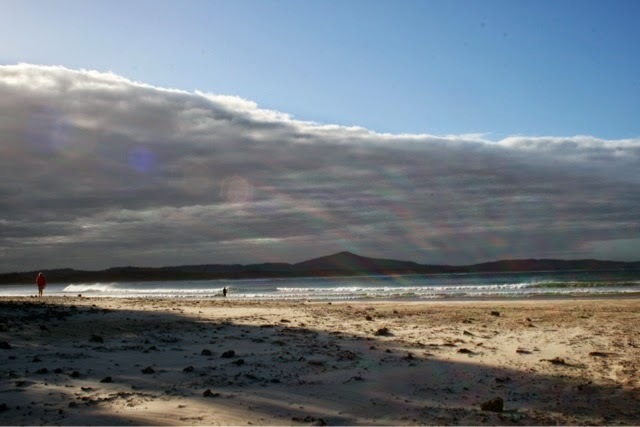 Weather permitting our plan is to stay here for another week or 10 days. Today’s temperature is 29 degrees and the water must be about 21’so life is good. My bird list is averaging around 35 species each day with 5 new birds on my life list.